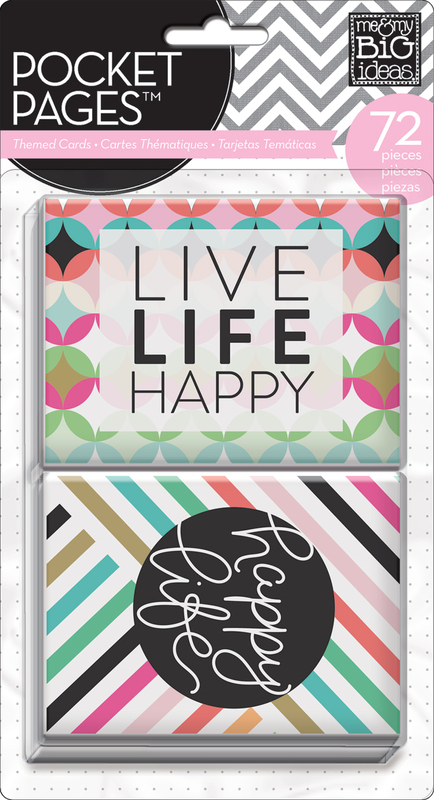 We've been coming out with a bunch of new products for The Happy Planner™ line, and hope you're loving them as much as we are! 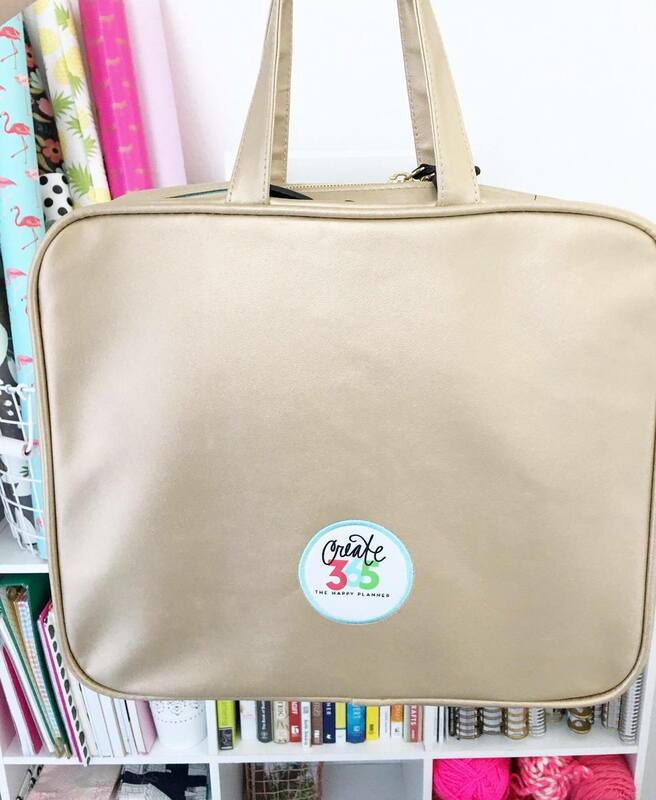 With the release of all the latest products, mambi Design Team member Thuy Bui (blog | IG) thought it would be fun to take a peek inside her Happy Planner™ Storage Case and share with you all the new accessories she carries in it. 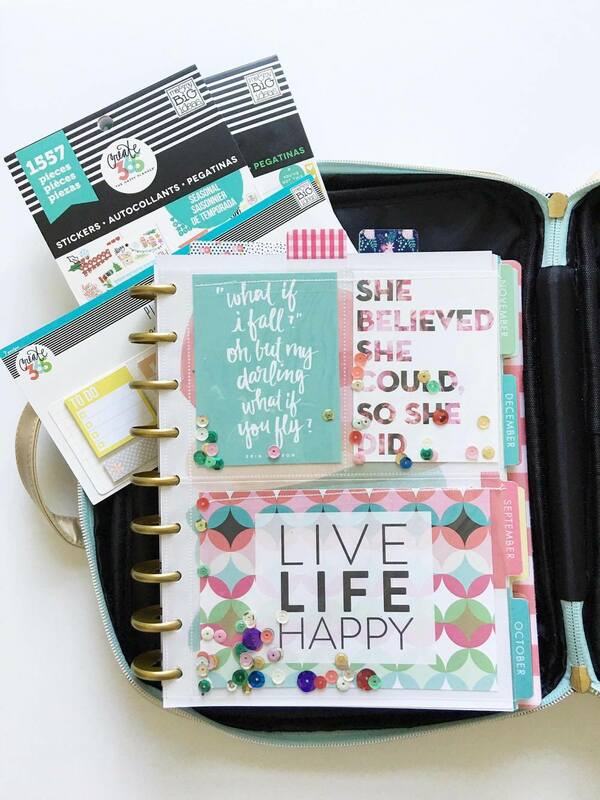 "I like to have my Happy Planner™ Storage Case with me at all times even if I leave it my car because you never know when you need to jot something down. 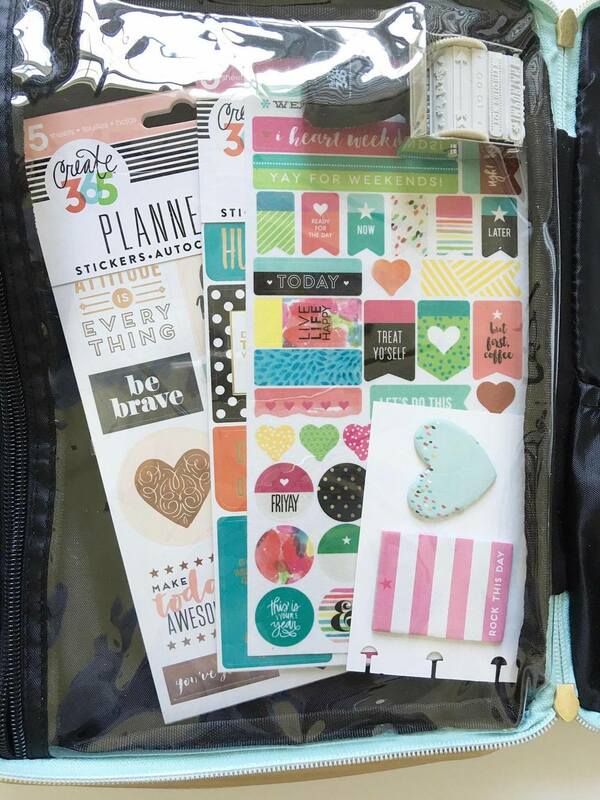 Some of my favorite things that are currently in my bag are my Happy Planner™ washi tapes, pencils, pens, and highlighters. 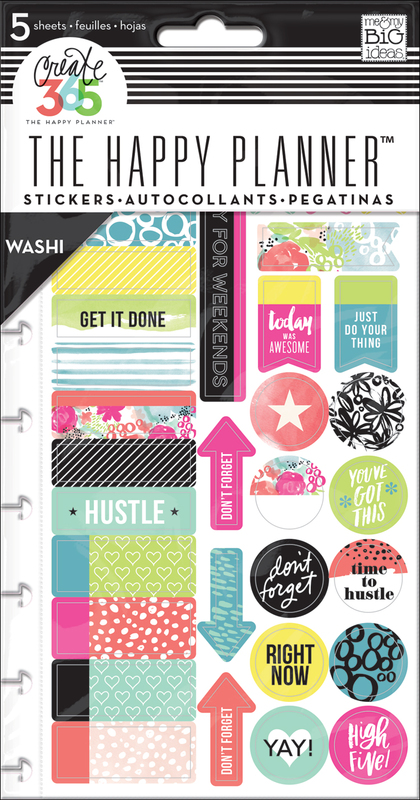 I'm always carrying two of The Happy Planner™ 1000+ sticker value packs (the ones with the pink and purple bands), my roller stamp, and a notepad to jot down notes or reminders for myself. 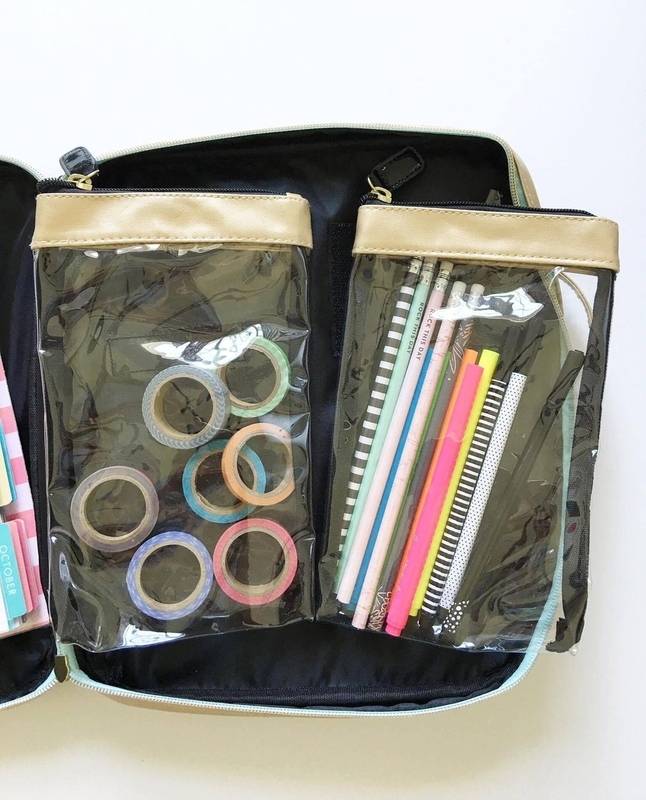 I love having all my supplies in one place and that the little bags inside are detachable so I can pull them out when I use them and put them back in my bag when I am done." 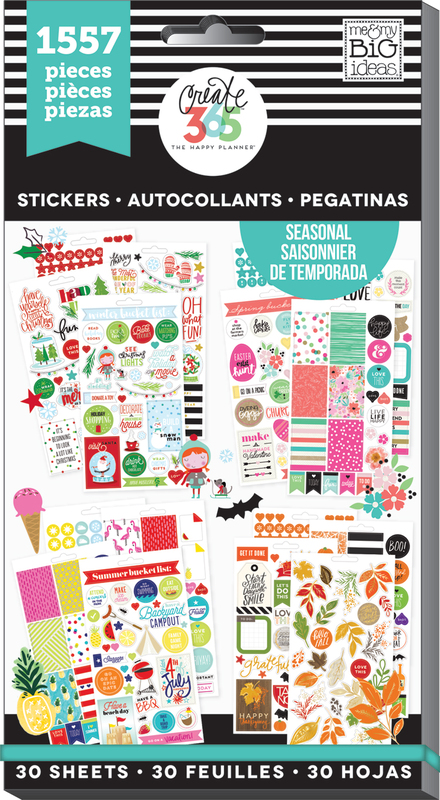 Shop supplies Thuy uses by clicking on the items below.